Opening electrical cabinets to perform IR and visual inspections of live components is dangerous work, exposing you to the risk of a hazardous arc flash incident. Out of necessity, it’s also a painstaking, time consuming process. 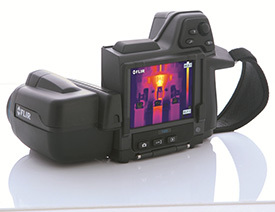 Now you can put the added safety of new FLIR IR Windows between you and energized equipment to better protect yourself and eliminate the need for opening enclosures. Much easier to install and use than other brands, FLIR IR Windows help you work faster with greater confidence. Perform inspections more efficiently and reduce the threat of arc flash injury significantly so you can get more done and stay in compliance with NFPA 70E requirements. All FLIR IR Windows feature a secure, permanently-hinged cover that opens easily with one hand, which means there’s nothing to remove, drop, mix up, or lose. 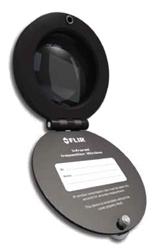 FLIR’s broadband crystal allows cameras to capture visible light pictures as well as thermal images and lets LED and laser illumination pass straight through for clearer visual assessments.